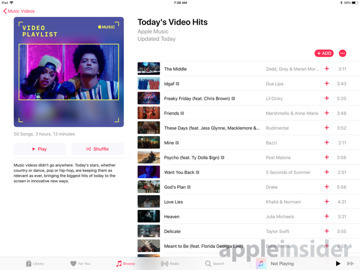 Apple has updated Apple Music to include a new Music Videos section to the streaming service ahead of the full release of iOS 11.3, with the addition serving as a reminder the iPhone and iPad operating system's next major upgrade will be arriving soon. 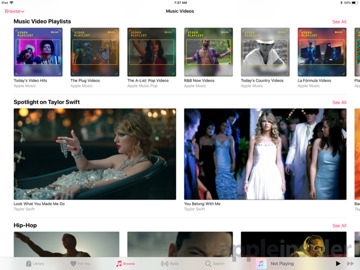 Appearing in the Browse tab of the Apple Music tab, the Music Videos section highlights some of the video content produced to accompany songs streamable on the service. 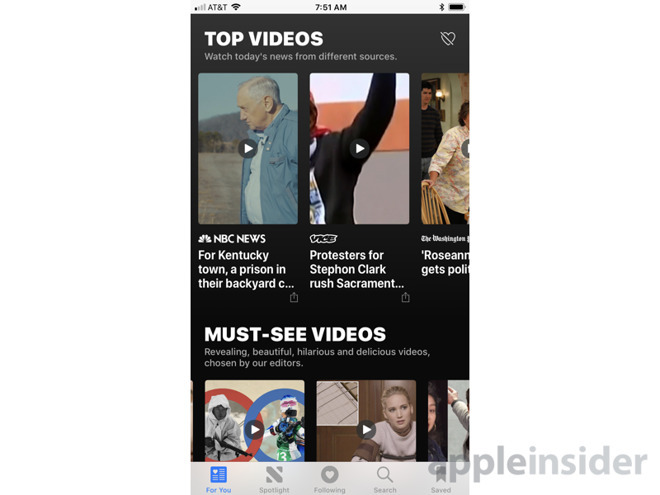 The section aims to make it easier for subscribers to see videos for their favorite artists, as well as new music videos and those selected by Apple. Larger images at the top showcase tracks and playlists, with the first to appear including a new music video from Kylie Minogue and an Apple Music-curated playlist titled Today's Video Hits. Further down the page are suggestions for other video playlists, themed by genre and other subjects, such as "Pure Party" and "Pure Motivation." 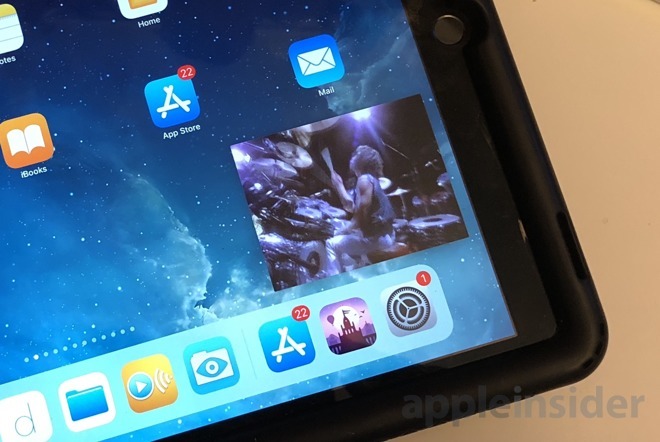 If Apple Music is minimized, the video will continue playing in a picture-in-picture window, which can be resized and moved around the screen above other active apps. While it is possible for non-subscribers to view the new addition, playback of videos is limited only to subscribers. Attempts to play a video without paying the monthly fee will bring up a notification offering to set up a subscription. 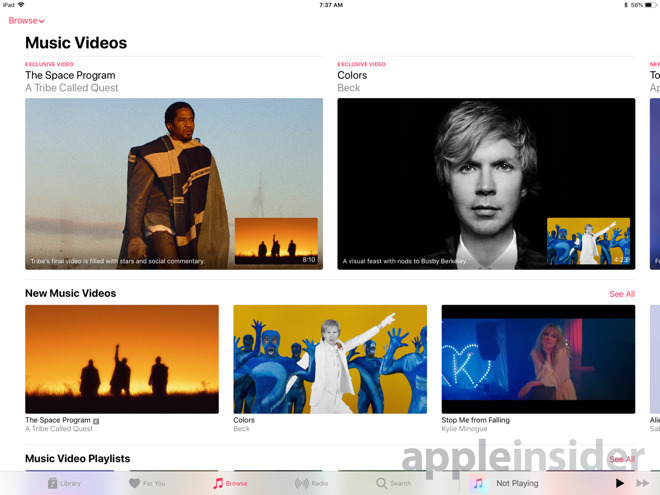 The Music Videos section of Apple Music was initially announced as part of iOS 11.3, alongside a number of other updates. The new version will also include a way for users to see the health of their iPhone's battery and to customize power settings, introduced following the revelation iOS throttles CPU performance on older devices when the battery is deteriorating. The iOS 11.3 update will also include ARKit 1.5, HomeKit software authentication to expand Apple's smart home platform, Advanced Mobile Location support to alert emergency services to the user's location, and the addition of Health Records in the Health app for allowing hospitals and clinics to share patient data with each other. 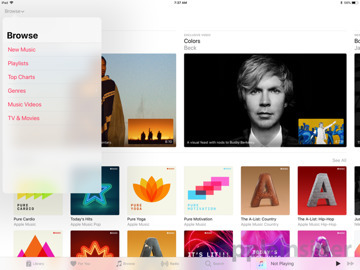 Apple has already released iOS 11.3, but limited it only to the new sixth-generation iPad launched on Tuesday. While an exact release date has yet to be advised, it is thought that other iOS devices will be able to upgrade to iOS 11.3 from early April.